Primary and nursery school for boys and girls aged 3 - 11 years. Arnold View Primary School is a mainstream setting. At Arnold View we are committed to ensuring equality of education and opportunity for all, irrespective of race, gender, disability, faith or religion or socio-economic background. We aim to develop a culture of inclusion and diversity in which all those connected to the school feel proud of their identity and able to participate fully in school life. Children are identified as having special educational needs if they have either a learning difficulty, which is significantly greater than the majority of their peers or; a disability which prevents or hinders them from making use of the educational facilities provided for their peers; which as a result calls for special educational provision to be made for them. It is the responsibility of the Head Teacher and SEN Governor for overseeing the provision for children with SEN and the SENCO for co-ordinating the day to day provision of education for pupils with SEN.
Our school uses a graduated approach to decide when a child is having difficulties in accessing learning. Initially, children whose academic achievements fall significantly outside the range of their peers, are monitored to identify possible difficulties. At this point, after consultation with the SENCO, steps are taken to provide differentiated learning opportunities that will aid academic progression and appropriate teaching styles are used. The school uses a dyslexia screener and portfolio. This identifies children who are showing no signs to severe dyslexic tendencies. Parents are encouraged to contact the school if they have any concerns or queries about whether their child may have special educational needs. Firstly contact your child’s class teacher or SENCO or Head Teacher. We pride ourselves on building positive relationships with parents. We are open and honest with parents and hope that they are able to do the same with us. In order to make consistent and continuous progress in relation to SEN provision, the school encourages feedback from staff, parents and pupils throughout the year including pupil progress meetings, using data and Multi Agency Meetings (MAM) as examples. Pupil progress is monitored on a termly basis in line with the SEN Code of Practice. There is an annual formal evaluation of the effectiveness of the school SEN provision and policy. The evaluation is carried out by the SENCO and information is gathered from different sources such as parent and staff surveys, pupil interviews and progress data. This is collated and published by the governing body of a maintained school on an annual basis in accordance with section 69 of the Children and Families Act 2014. Evidence collected will help inform school improvement plan (SIP). As a school we measure children’s attainment in learning against National expectations and age related expectations at the end of F2, Year 2 and Year 6. The class teacher continually assesses each child and notes areas where they are improving and where further support is needed. We track children’s progress from entry at the Foundation Stage to Year 6, using a variety of different methods including progress against assessment standards as well as various assessments including past SATs papers. All children’s progress is reviewed termly in Pupil Progress in meetings. Where children are not making sufficient progress or are not at age related expectations, discussions take place regarding the potential barriers and suitable interventions. In addition to these meetings, children with SEN will have individual SEN reviews. The school operates an ‘open door’ policy where parents can make an appointment to talk to staff at any time during the year. In addition to this, two parents’ evenings are held and parents are asked to fill in an annual questionnaire. Parents are kept up to date with their child’s progress through annual reports, parents’ evenings and SEN review meetings, where pupil’s targets are discussed. They are also notified of additional provision their child will be receiving on a termly basis. In cases where more frequent regular contact with parents is necessary, this will be arranged based on the individual pupil’s needs. Parents are encouraged to contact the Ask Us (Parent Partnership Service) if they would like additional support and advice, including someone to accompany them to meetings. Parents are invited to attend meetings with external agencies regarding their child, and are kept up to date and consulted on any points of action drawn up in regards to the provision for their child. All members of staff show care and concern through a flexible and positive attitude when dealing with pupils with Special Educational Needs. There may be a teaching assistant working with individuals or groups of children. Both in class and withdrawal support is provided for children to enable more direct teaching to take place. Additional support is discussed with parents during each termly SEN review. Individual Education Plans (IEPs) are kept under constant review and when targets are achieved, immediately new ones are set up. Additional provision and the review of this provision are also recorded. The school SENCO oversees all support and progress of any child requiring additional support across the school. All children are taught in classes with their peer groups, giving them access to the statutory programmes of study laid down in the National Curriculum. The class teacher takes steps to provide differentiated learning opportunities so that all children are able to access according to their specific needs. Typically, English and Maths lessons are planned for at three different levels for the class. However on occasions this can be individually differentiated. The benefit of this type of differentiation is that all children can access a lesson and learn at their level. A range of learning styles are used from visual, aural and kinaesthetic in order to aid the pupils’ academic progression. In addition, some children have specific adaptations to the curriculum such as tinted reading rulers, enlarged print for reading books and classroom resources, the use of signs and symbols as well as ‘now and next’ timetables. The class teacher alongside the SENCO will discuss the child’s needs and what support would be appropriate. Different children will require different levels of support in order to bridge the gap to achieve age related expectations. This will be through on-going discussions with parents. Support is reviewed termly by the SENCO, parents, the class teacher and the child. By reviewing children’s targets a child’s progress is monitored and verbal feedback is received from the teacher, parent and pupil. Children may receive more or less support depending upon the progress they have made. All children are included in all parts of the school curriculum and we aim for all children to be included on school trips and extra-curricular activities. We will provide the necessary support to ensure that this is successful. A risk assessment is carried out prior to any off site activity to ensure everyone’s health and safety will not be compromised. Parents are involved at this stage to ensure that their child’s needs are being met. In the unlikely event that it is considered unsafe for a child to take part in an activity, then alternative activities which will cover the same curriculum areas will be provided in school. Support is also provided during lunch times and breaks as well at the beginning and end of the school day, where necessary. We are an inclusive school; we welcome and celebrate diversity. All staff believe that children having high self-esteem is crucial to a child’s well-being. We have a caring, understanding team looking after our children. The class teacher has overall responsibility for the pastoral, medical and social care of every child in their class, therefore this would be the parents’ first point of contact. If further support is required the class teacher liaises with the SENCO for further advice and support. This may involve working alongside outside agencies such as Health and Social Services, and/or the GAP Team. The school has a policy regarding the administration and managing of medicines on the school site. Parents need to contact the class teacher if medication is recommended by Health Professionals to be taken during the school day. As a staff we have regular training and updates of conditions and medication affecting individual children so that all staff are able to manage medical situations. As a school we have a very positive approach to all types of behaviour with a clear reward system that is followed by all staff and pupils. If a child has behavioural difficulties a Behaviour Management Plan (BMP) is written alongside the child and parents to identify the specific issues, put relevant support in place and set targets. Attendance of every child is monitored on a daily basis by the Admin department. Lateness and absence are recorded and reported upon to the Head Teacher. Support is given through an incentive scheme where good attendance is actively encouraged throughout the school. Our school SENCO is Emma Bowler and she can be contacted on 0115 9560967. We aim to keep all school staff up to date with relevant training and developments in teaching practice in relation to the needs of pupils with SEN. The SENCO attends relevant SEN courses, Family SEN meetings and facilitates/signposts relevant SEN focused external training opportunities for all staff. We recognise the need to train all our staff on SEN issues and we have funding available to support this professional development. The Senior Leadership Team ensures that training opportunities are matched to school development priorities and those identified through the use of provision management. CPD opportunities are provide that link clearly to the Schools Improvement Plan (SIP). The school continues to build strong working relationships and links with external support services in order to fully support our SEN pupils and aid school inclusion. Autism friendly resources e.g. visual timetables, social stories etc. Equipment and facilities are either purchased by the school or accessed from services such as health e.g. Occupational Health or Physical Disability Support Services depending on the child’s need. Families are integral to the acquisition of such resources and work closely with both our school and the relevant services as they know their child best. Parents are kept up to date with their child’s progress through annual reports, parent’s evenings and SEN review meetings, where pupil’s targets are discussed. They are also notified of additional provision their child will be receiving on a termly basis. In cases where more frequent regular contact with parents is necessary, this will be arranged based on the individual pupil’s needs. Parents are encouraged to contact the Parent Partnership Service if they would like additional support and advice, including someone to accompany them to meetings. At Arnold View Primary School we value and celebrate each child being able to express their views on all aspects of school life. This is usually carried out through the School Council which has an open forum for any issues or viewpoints to be raised. All children with SEN have a ‘This is Me’ (communication passport). It is completed primarily by the child as it records what the child feels that they are good at, areas they find hard and how they feel school can help them. These passports are passed on to their new teacher in order to aid smooth transition. In addition, all children have an Individual Education Plan. They record the child’s targets as well as the achievement of these targets by the child, the teacher and teaching assistant. Additional provision and the review of this provision is also recorded. If your child has an EHC (Education, Health and Care) plan, then views will be sought before any review meetings. At Arnold View we pride ourselves on building good relationships with our parents. We also believe that concerns should be addressed straight away so that any concerns can be resolved immediately. If a parent or carer has any concerns or complaints regarding the care or welfare of their child, an appointment can be made by them to speak to the SENCO, who will be able to advise on formal procedures for complaint. The Governing Body delegates responsibility to the Head Teacher and SENCO for the arrangements for in service training for the staff and involvement of other organisations and services in relation to special educational needs. The school will seek advice, as appropriate, around individual pupils, from external support services through the termly ‘Springboard meetings’, GAP team, Early Help Unit and the Multi-Agency Safeguarding Hub. The SENCO, Emma Bowler can be contacted on 0115 9560967 if parents are requiring advice about support for their child. We pride ourselves on building positive relationships with parents. We are open and honest with parents and hope that they are able to do the same with us. In addition, the Ask Us (Parent Partnership Service), which is an independent service to support parents of children with Special Educational Needs, can be contacted on 0115 948 2888. We encourage all new children to visit our school prior to starting when they will be shown around the school. For children with special educational needs it may be appropriate for further visits to assist with the acclimatisation of the new surroundings. It may also be beneficial to visit the child in their current school. We liaise closely with staff and support services when receiving children to ensure that the child’s needs are discussed and understood. What do I find hard? What should teachers and other people in school do to help me? In addition we write social stories with children if transition is potentially going to be difficult. At the end of the academic year a professional dialogue takes place between the current and receiving teacher about the children, where successful strategies and interventions are shared. When children are preparing to leave us for a new school, typically to go to secondary education, the SENCO meets with the secondary SENCO to discuss and plan transition for children with additional needs. Extra visits are provided where appropriate and detailed information about the children’s needs is passed to the receiving school. The school aims to provide children with life skills through a full PSHE programme. 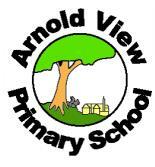 Visit the school website at www.arnoldview.notts.sch.uk. You are welcome to visit our school to have a look around. Please ring to make an appointment on 0115 9560967.